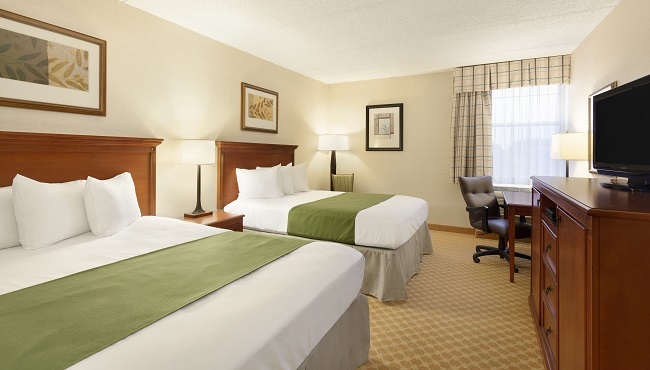 At the Country Inn & Suites near the Rochester airport, each of our 89 hotel rooms and suites helps you feel at home with amenities like free high-speed Internet access and a 32-inch flat-screen TV. In the morning, take advantage of handy basics like a hair dryer and an iron to look your best for that business presentation or trip to the museum. While you are researching nearby attractions to visit with your family, heat up a snack in your microwave and enjoy a cold drink from your refrigerator. 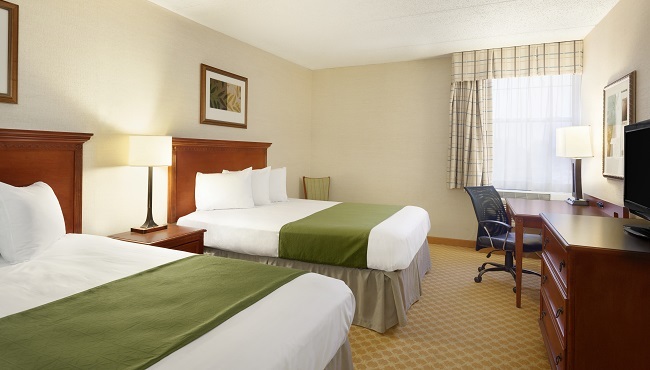 Whether you are in town for a single night or an entire week, amenities like free Wi-Fi and cable TV will make your stay more enjoyable. Rest well on your choice of one king bed or two queen beds. 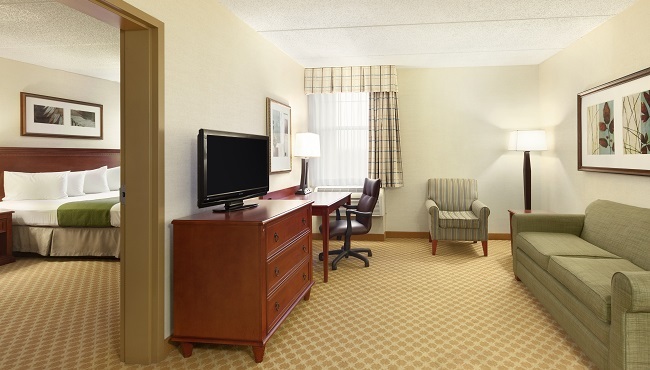 Treat your family to extra space and privacy in our One-bedroom Queen Suite. In addition to two queen beds in the bedroom, these suites offer a separate living room with a sofa bed and a second TV. 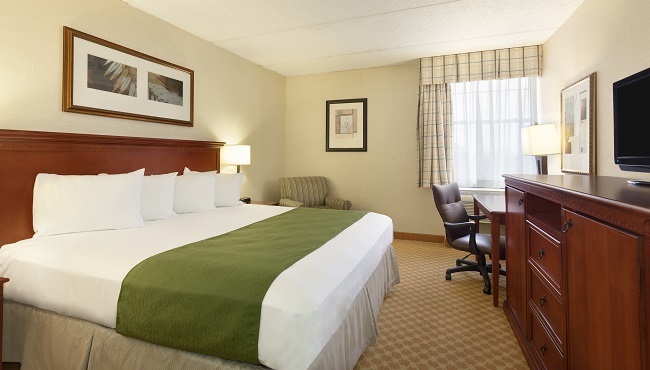 Perfect for corporate travelers who want extra room to stretch out, these suites offer two 32-inch flat-screen TVs, a bedroom with a king bed and a separate living room with a sofa bed. 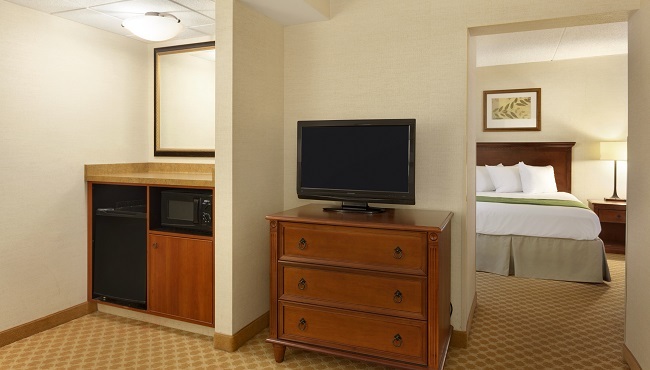 Add a touch of romance to your next visit with a whirlpool for two, a bedroom with a king bed and a separate living room with a couch.